This tutorial explains how to redirect your WordPress site's default feed address to Feedbuner without using any plugin. 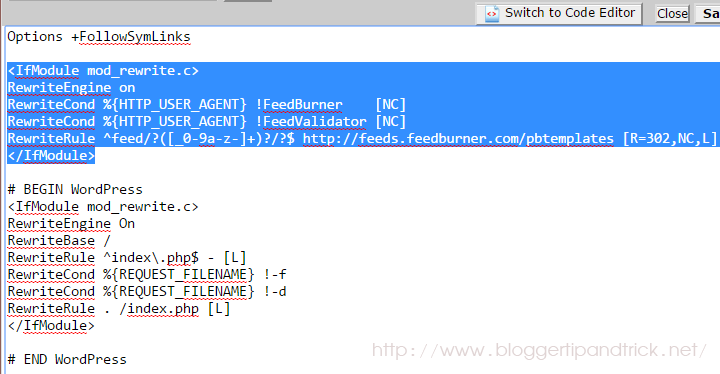 Note: Remeber to replace "http://feeds.feedburner.com/pbtemplates" with your Feedburner address. Save your .htaccess file. Now your WordPress feed will automatically redirect to your Feedburner address.